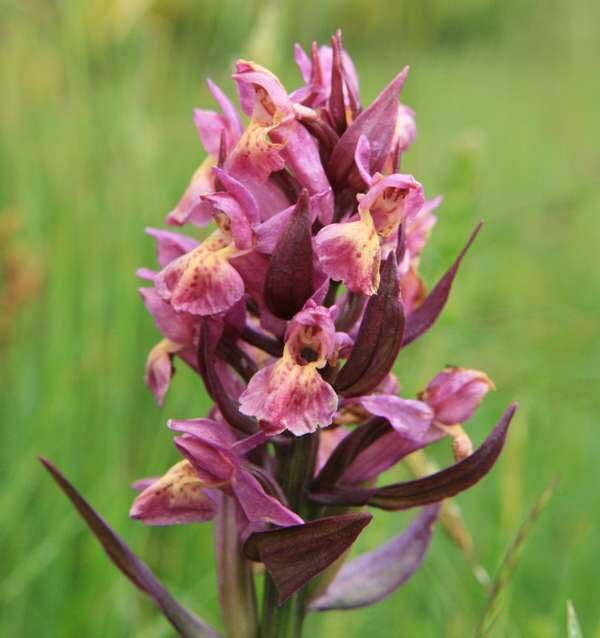 This orchid occurs in two colours, red and yellow. They frequently appear together, although the red flowers tend to bloom slightly earlier than the yellow ones. A somewhat short and stumpy looking plant, this orchid grows to around 30cm in height. The 4-7 basal leaves are unspotted and pointed at the tips. The large flowers can be either red or yellow and there are rare appearances of salmon pink intermediate forms; they are large and are carried on a lax inflorescence. The common name refers to the flowers' slight scent, which resembles that of elder flowers. 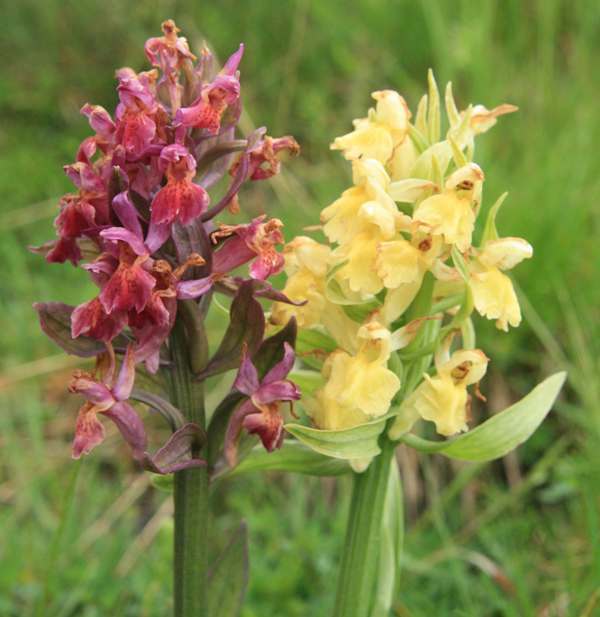 Above and below: This orchid has two colour forms, yelloow and red. Intermediates can occur but in most locations appear to be ratheruncommon. 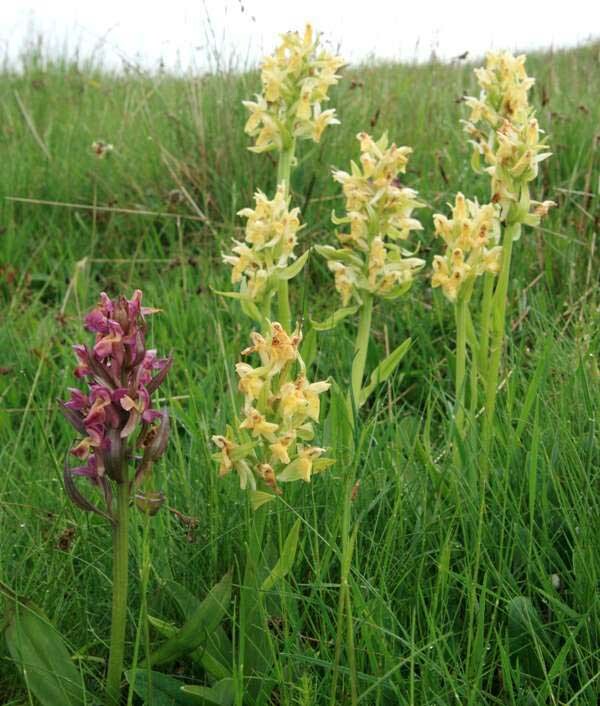 Elder-flowered Orchids favour calcareous or sometimes slightly acid soils and grow in pastures, mountain meadows and grassland, often in great numbers. The specimens shown here were photographed near Murat, southern France, in early June. 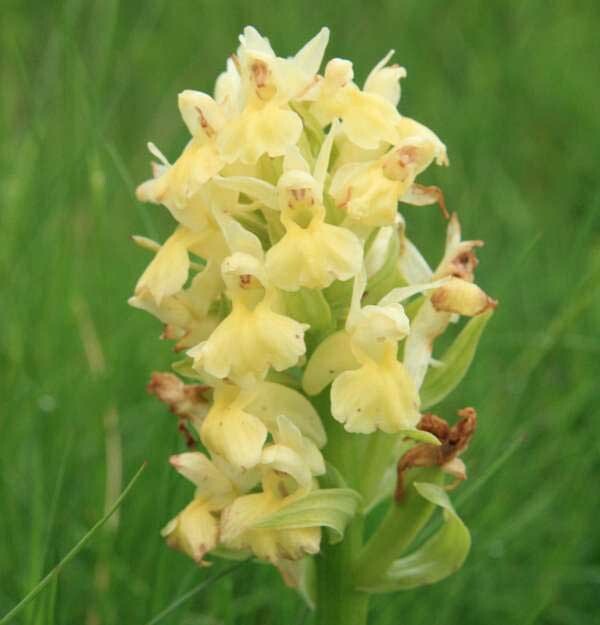 Dactylorhiza sambucina flowers from April to the end of June. The red form flowers slightly earlier than the yellow form.